The Muscle Soak blend is the perfect treat for your tired and achy muscles. 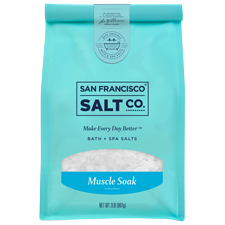 Made with pure Epsom Salt and eucalyptus and peppermint essential oils the Muscle Soak salts are sure to relieve even the most overworked muscles. Pure Epsom Salt scented with Eucalyptus & Peppermint Essential Oils, in natural white. 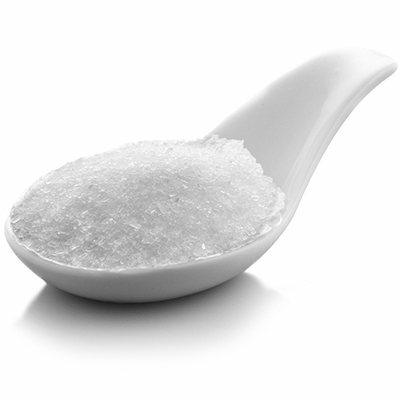 Benefits: A rejuvenating and therapeutic bath salt to soothe and revive tired, aching muscles and bring your stiff, overworked body back to life. With general skincare benefits. Size: Various Options (see right) - Ships in a resealable bag. Ingredients: Magnesium Sulfate (Epsom Salt), Eucalyptus Globulus (Eucalyptus) Essential Oil, Mentha Piperita (Peppermint) Essential Oil, Tocopherol (Vitamin E), and Aloe Barbadensis (Aloe Vera) Leaf Juice.